Advanced Home Battery Backup Is Here! Sol Luna Solar is New Mexico’s only installer of solar storage solutions that pair with the Solar Edge Inverter and Power Optimizer systems! Batteries for home backup power have been around for a very long time, but had largely been deemed unreliable and not cost effective. Utilizing your home and business with battery storage solutions wasn’t practical for all until the introduction of lithium-ion energy storage solutions. With greater advancements in efficiency, safety, and performance; new technologies are now available to compete with the rising cost of electricity, peak demand costs, and climate change. Never Be In The Dark Again! 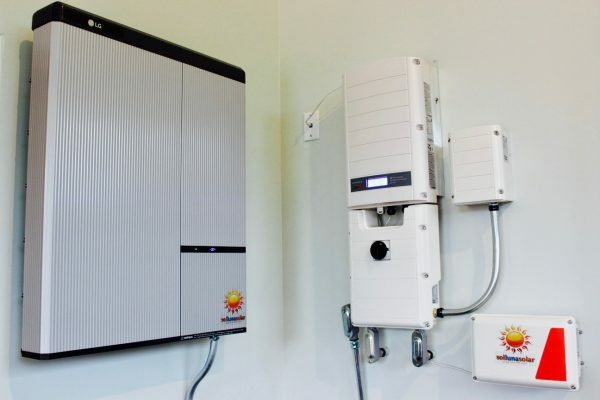 Sol Luna Solar offers state of the art solar battery storage options and is the first company in New Mexico to combine the safety of the Solar Edge Inverter systems with LG Chem batteries, delivering advanced performance and dependability. Lithium Ion Battery Storage is quickly becoming the latest and greatest trend in solar storage solutions. Several emerging manufacturers are already rolling out batteries throughout the United States with more expected to be available to the masses in the future. 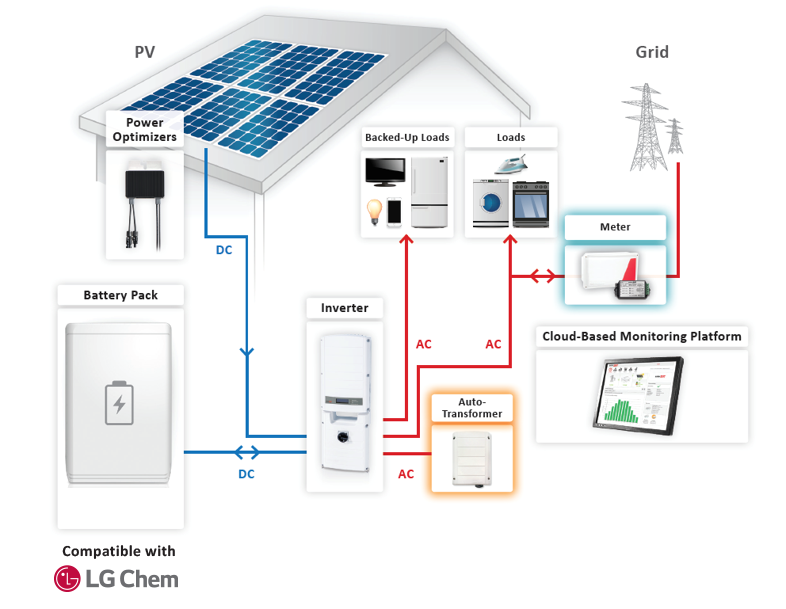 Sol Luna Solar offers energy storage solutions that combine the efficient, safe, and performance monitoring capabilities of SolarEdge with Storage technologies like LG Chem and the Tesla Powerwall. With energy storage (batteries), customer are able to take energy produced by their Solar system and store electricity generated by the solar panels to use at a later time or during peak demand periods to reduce dependence on electricity from the grid (utility). The stored energy can be used when your solar panels are not producing enough energy (cloudy days or at night) and it also provides security during power outages by providing a backup electricity supply for your home or business. Learn more about the benefits of solar home battery backup and off-grid solar power by checking out ‘Why you should own a solar home battery system‘! Technological advancements and decreasing costs have now created an opportunity for you (the homeowner or small business owner) to invest in energy harvesting and storage. Battery systems are not only financially viable, but also make environmental sense as society becomes more independent of utility produced electricity and begins to rely on locally harvested energy from the Sun.